The biggest and the brightest names in OPM gather for a one-night-only celebration of Filipino music this Saturday (July 11) as ABS-CBN’s FM radio station MOR 101.9 once again honors the best in the industry in this year’s MOR Pinoy Music Awards to be held at the Araneta Coliseum. Get to watch appearances and performances from Vice Ganda, Yeng Constantino, Kyla, Christian Bautista, KZ Tandingan, Enchong Dee, Alex Gonzaga, Jolina Magdangal, Nyoy Volante, Jovit Baldivino, Bugoy Drilon, Liezel Garcia, Karla Estrada, Gimme 5, Morissette Amon, Klarisse De Guzman, Lyca Gairanod, Yumi Lacsamana, JC Padilla, Kaye Cal and many more. Megastar Sharon Cuneta also graces the event as the recipient of the OPM Lifetime Achievement Award, which is given to Filipino music icons who have contributed to growth and success of the Philippine music scene. Last year, singer-composer Ogie Alcasid received the prestigious award. Hosted by the MOR 101.9 DJs, the MOR Pinoy Music Awards also reveals the results and names the winners of eight different categories that includes the Song of the Year, Album of the Year, Female Artist of the Year and Male Artist of the Year. Winners were determined based on total votes from texters, MOR Pinoy Music Awards committee, and select panel of judges from the Organisasyon ng Pilipinong Mang-aawit (OPM) that include VP for Special Projects Christian Bautista, board member Jose Mari Chan, and president Ogie Alcasid. 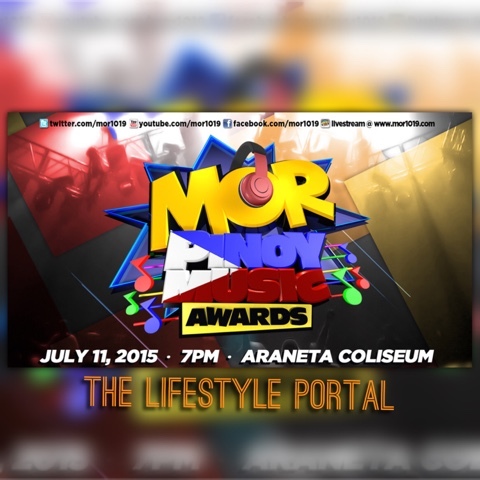 Who will be named winners in this year’s MOR Pinoy Music Awards?